A year ago, I started this blog as a way to create a space where I could explore the issues I’m passionate about – food justice, sustainability, agriculture, clean eating, animal welfare – and answer the question that I’m most often asked when it comes to our lifestyle at Next Gen House. Why? Here I am, 365 days later, still writing three times a week, working to answer that question and explore these ideas. It’s an ongoing project that is grounding and personally enriching. I have many ideas for this space for and I look forward to its development in the future. 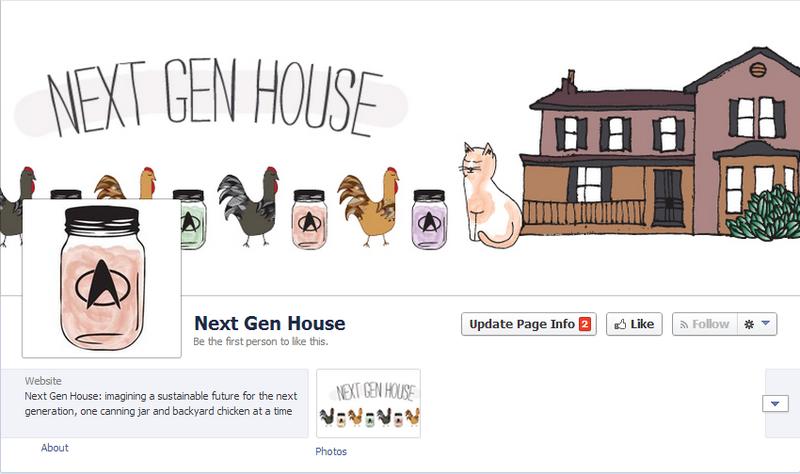 One of those ideas is to make a leap that I’ve put off for awhile and create a Facebook page for Next Gen House. I don’t personally use Facebook, so I avoided developing a page for this site. But I don’t want to be closed off to the idea of growth and challenge, so you can now visit facebook.com/nextgenhouse and interact with me (and hopefully other readers) there. And here’s the fun part. In celebration of a year of posts, I’d like to give a Next Gen House birthday present to one of you. My path to being more aware of what I eat and how that affects me as well as the larger world began when I read Michael Pollan’s The Omnivore’s Dilemma and watched the documentary Food, Inc. I want to pass along those important works to someone else. So I’m giving away a brand new paperback copy of the book, as well as the documentary on Blu-ray. To enter the Next Gen House birthday giveaway, leave a comment on this post telling me either something you have enjoyed on Next Gen House, a way that you live sustainably, or something you’d like to see on the blog in the coming year. I will use random.org to select a winner. The contest ends at 9 p.m. EST, Sunday, March 2. I purchased these items on my own to give away because I wanted to do something nice. I wasn’t paid or perked in any way by anyone to give them away.